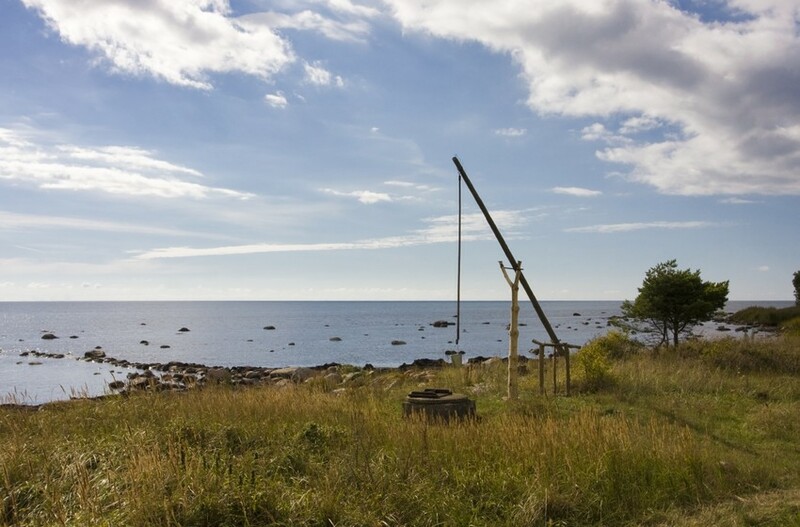 The smaller boat landing sites in the villages of Tärkma and Hindu in the southern tip of Hiiumaa Island have been used for centuries. Sõru Port was established in the early 20th century, when a pier was built, oriented to the south. In the 1920s and 1930s, passenger steamers called here. Sõru was also the boat link to Saaremaa Island. 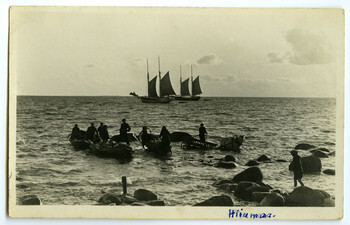 Staple goods were transported to Hiiumaa via the port. Livestock and agricultural produce was exported. A certain amount of firewood was also shipped from here. In 1953, a fishing plant started to be built in Sõru Port, and it eventually turned into a kolkhoz, Hiiu Kalur. 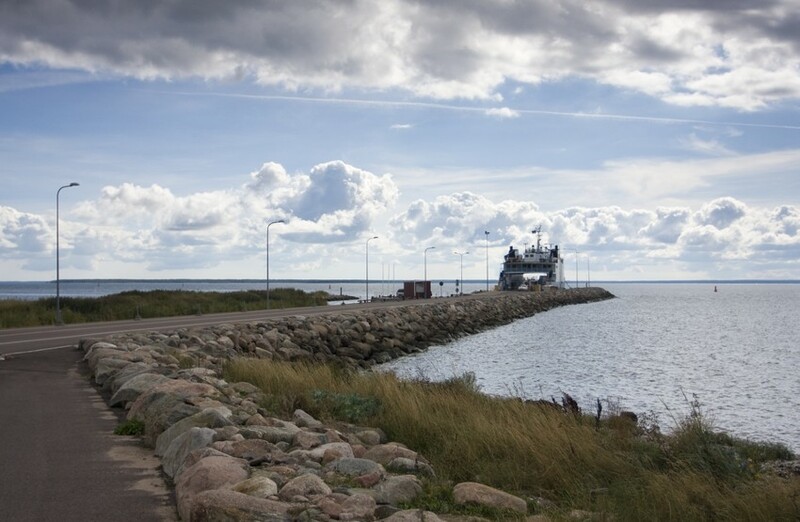 From 1996-1998, the quays were restored and the channel were dredged to revive the shipping connection between Sõru and Saaremaa Island. In 1999, a ferry started operating on the Sõru-Triigi route. 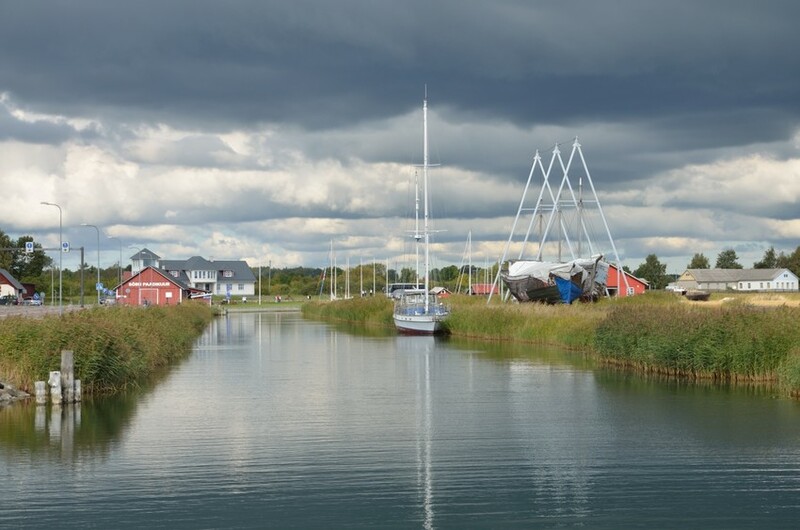 The same year, Sõru received the title of Small-Craft Harbour of the Year. The Hiiu Sailing Ship Society has held its Wooden Ships festival here around the time of midsummer. Sõru Port is the home port for the historical sailing ship Alar, which was built before Second World War in Õngu village on Hiiumaa. 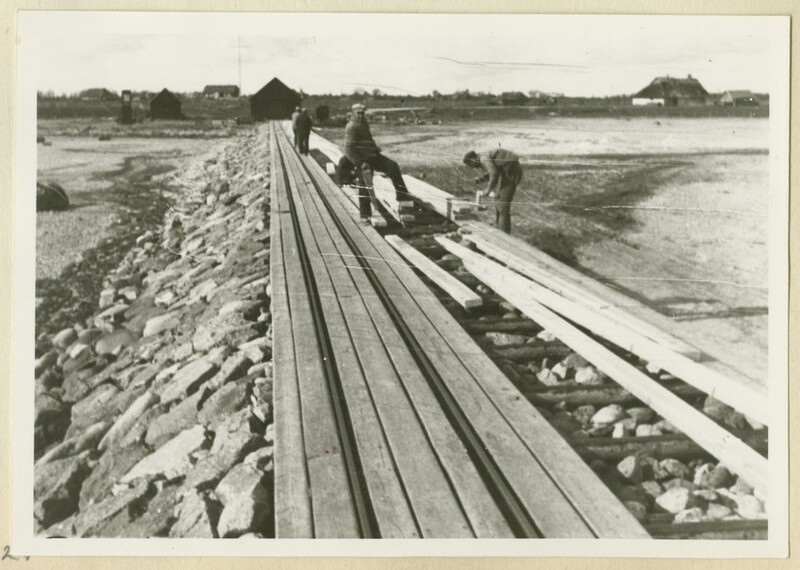 Repair work at Sõru Port, 1934-1935. Loading ships at Hindu village beach, first half of 20th century. A well near Sõru at the Hindu village landing place. 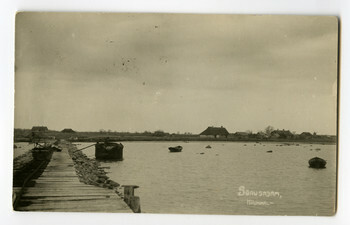 Sõru Port in the 1920s. The Kõrgelaid ferry, which serves the Hiiumaa-Saaremaa route, in Sõru Port, 2013. 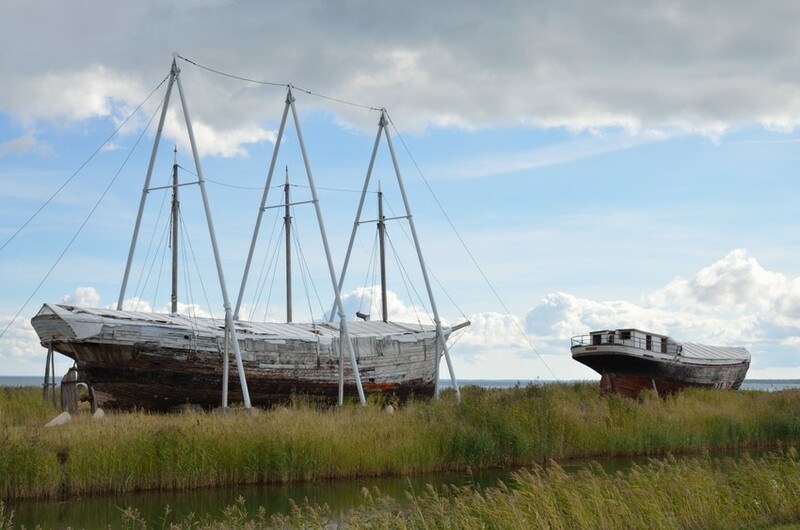 Historical sailing ships Alar and Iris in Sõru Port, 2013.